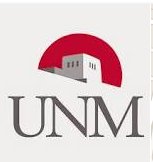 El Paso, TX- The University of New Mexico has selected Professional Document Systems to facilitate a highly-confidential and time-sensitive project to manage UNM’s initiative to convert their critical human resource records into digital format. In order to maintain the privacy and confidentiality of UNM’s records, PDS trained and certified their employees in the protection and confidential handling of sensitive information under HIPAA Privacy regulations. Due to the confidential nature of the records, PDS has set up an on-site, self-contained document conversion center on the UNM campus. At the center, PDS is preparing, scanning, and indexing over 1.2 million pages of UNM HR records. Subsequently, all records are being uploaded into the university’s Banner Application Extender system which will deliver reliable and convenient digital access. The University of New Mexico (also referred to as UNM)- public research university located in Albuquerque, New Mexico. It is New Mexico’s flagship research institution, the largest post-secondary institution in the state in total enrollment across all campuses as of 2012, and one of the state’s largest employers.